Ready to take you anywhere you want to go, the Go Go bag featuring T-rex and Brachiosaurus is a great size for your young schooler. Go Go to the park, Go Go to school or Go Go camping � just don�t Go Go without dinosaur backpack. The full zip dino backpack makes it easy to get all your school books, gym kit or sleeping bag in and there�s a beautifully appliqu�d design for every adventure � now with glitter accents. Just pack it up before you Go Go. 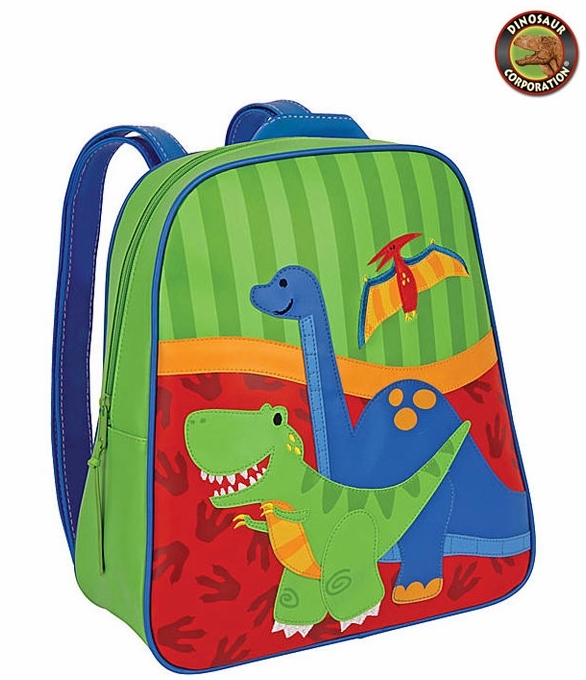 Dinosaurs backpack is featuring T-rex and Brontosaurus. A perfect dinosaur gift for prehistoric enthusiasts.